Bluetooth, Rear View Camera, Air Conditioning, Remote Keyless Entry, Power Windows! SPECIAL! Was $33635. Now $30435! $3200 discount for a limited time! 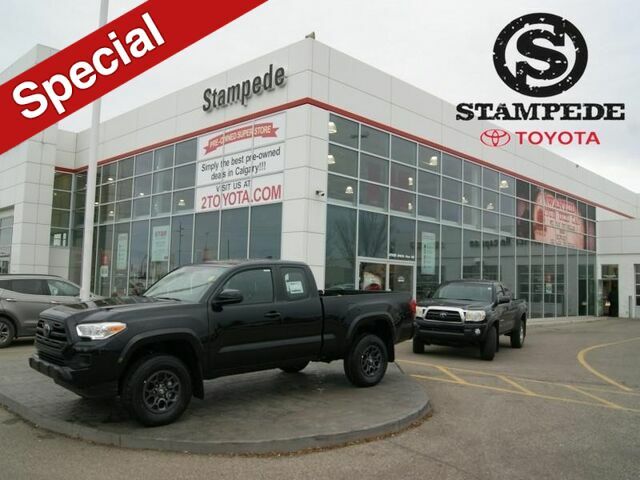 This midnight black metallic Access Cab pickup has a 6 speed auto transmission and is powered by a 159HP 2.7L 4 Cylinder Engine. Our Tacoma's trim level is 4x2 Access Cab Auto SR+. This vehicle has been upgraded with the following features: Bluetooth, Rear View Camera, Air Conditioning, Remote Keyless Entry, Power Windows, Power Doors, Cruise Control. We've discounted this vehicle $3200. See dealer for details.